Obituary for Donald Simmons Jr.
Donald Simmons, Jr. passed away peacefully on Wednesday, May 23, 2018 with his loved ones by his side. He was 72 years. Don was born on November 18, 1945 in DeRossett, Tennessee to his parents, Blanch Gertrude (Vickery) and Donald Simmons, Sr. Don was employed at Locke Supply for many years before his retirement. Don loved time spent with his family and his passing leaves an empty space in many lives. 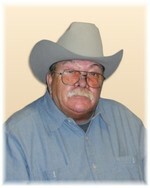 To send flowers to the family of Donald Simmons Jr., please visit our Heartfelt Sympathies Store.